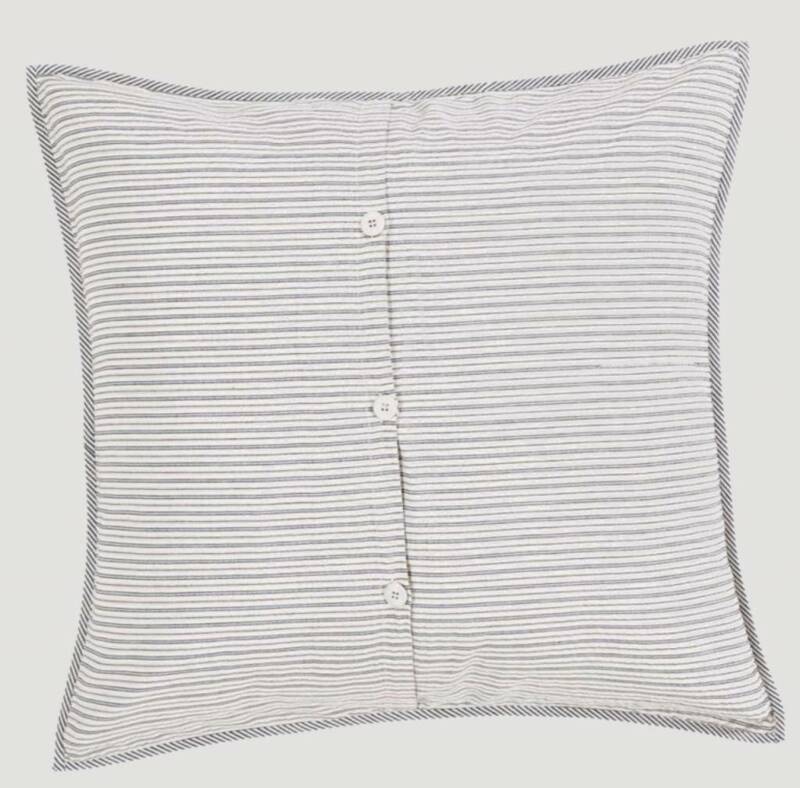 The Ashmont Fabric Euro Sham is an extra large sham perfect for your bedding ensemble or adding a touch of color to another room in the house. 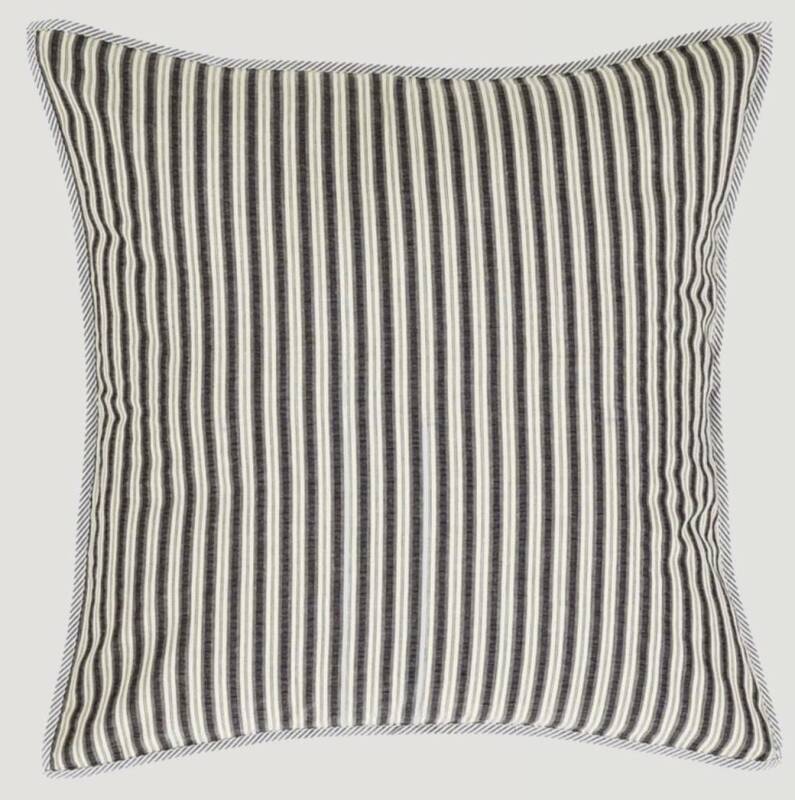 Display stripes vertical or horizontal to suite your style. 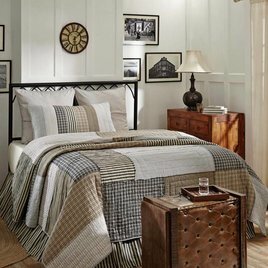 Thank you for choosing to shop with us and considering this Ashmont Bedding & Quilt Collection! The Home Sweet Home Jar Candle is a new blend of spiced vanilla & almond. This TOP SELLER is a 100% Soy. The candle will burn clean with no smoke for 110 hours. Made in the USA! 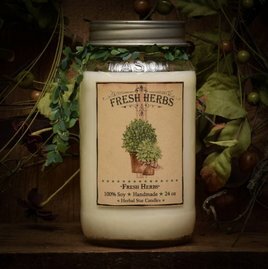 The Fresh Herbs Jar Candle scent is a blend of parsley, lime-basil, & thyme. It smells very herbal, but with the freshness of a greenhouse and the garden. This candle is 100% Soy. The candle burns clean with no smoke for 110 hours. The Spiced Honey Cake 24oz Jar Candle is a blend of cinnamon spiced honey cake! This wonderful scent is a 100% Soy candle. The candles will burn clean with no smoke for 110 hours. Made in the USA! 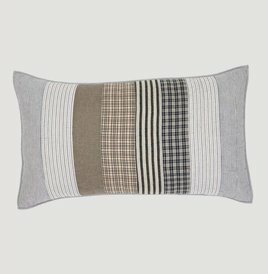 Pick your Ashmont Pillow Sham with vertical greys and cremes from the Ashmont Bedding & Quilt Collection. The sham complements the large block pattern of the matching quilt. 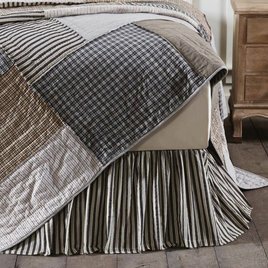 Put a finishing touch on your farmhouse bedroom with the Ashmont Bed Skirt from the Ashmont Bedding & Quilt Collection. The skirt features a gathered ruffle and vertical stripes in charcoal and creme. Crawl under the bold & timeless blocks of the Ashmont Quilt. The palette of warm grey, antiqued tan & vintage white bring an update touch to a look of yesterday. Hand-quilted & trimmed in creme & blue, this all cotton quilt is sure to be a favorite.